CO-GISTICS is the first European project completely dedicated to the deployment of Cooperative Intelligent Transport Systems (C-ITS) applied to the logistics. The services of CO-GISTICS are deployed in 7 platforms of logistics, of which Bordeaux. With 33 partners, the logistic consortium installed these services on 315 vehicles during 3 years. 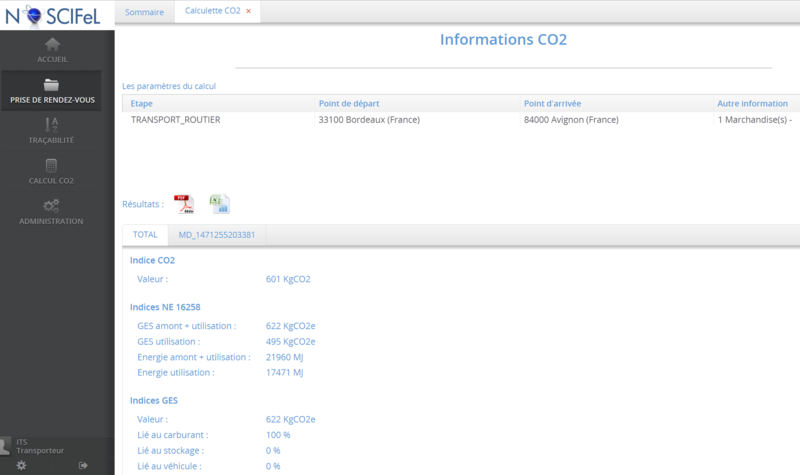 NeoGLS is in charge of the experimental site of Bordeaux with the services of “Cargo transport optimisation”, “CO2 footprint estimation” and “Priority and speed advice” with a direct link via the transverse services of : Compass4D, NOSCIFeL and GeotransMD. The transport of road freight increased considerably during the last two decades. Numerous technologies are available today to manage various aspects of the movement of goods, but the existing systems are not connected some people to the others and do not allow an optimization of the performances. 7 experimental sites believe strongly in the integration of services and existing systems of freight and transport, with new solutions as the cooperative services and the intelligent cargo. This will help to return the logistics of the goods, trucks, roads, ports, airports and rail terminals more sustainable, for example by reducing CO2 emissions and by improving the cost-benefits ratio. NeoGLS deployed 3 services (with Compass4D, NOSCIFeL and GeotransMD). 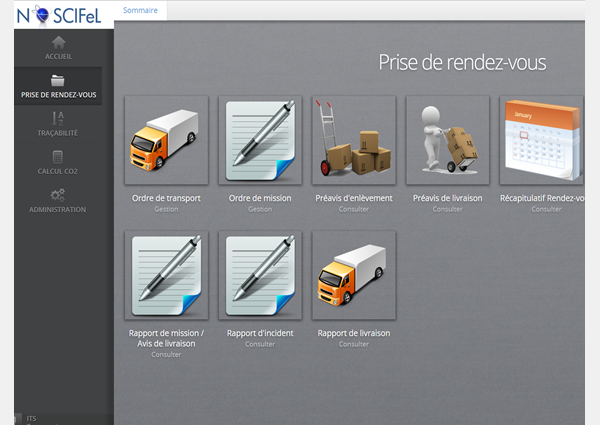 Via the NOSCIFeL platform you can organize your operations of removals and\or deliveries by grouping missions commanded in different orders of transport, in particular by the coordination of meeting with the senders and the addressees. SERVE works in interactive mode (IHM) via a Web or automatic browser (EDI) with the information systems of agents, carriers, senders and addressees. Thanks to embarked SERVE, the driver benefits from an intuitive interface. The synchronization of the information with the driver is in real time. 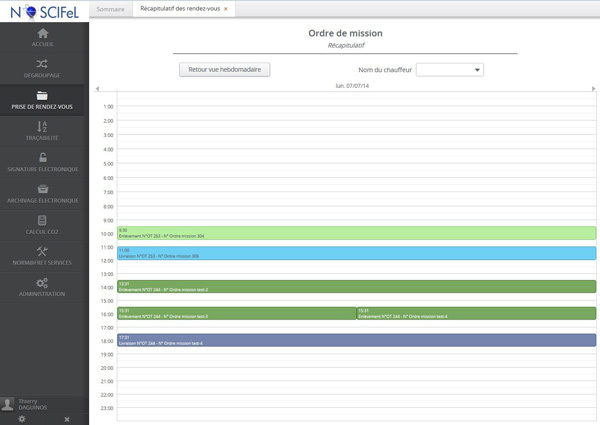 So he obtains a global view of his schedule by days, weeks. The driver indicates in a single click via the tablet / smartphone if the removals/deliveries were made and can seize at the need for comments associated to every removal. Futhermore the TP1 GeotransMD can be informed that a transport of hazardous materials is in progress and gives the corresponding shipment documents if need. (European code of the transported hazardous material, the driving licence of the driver, the transport license of hazardous goods, etc.). SERVE, allows you a complete dematerialization of your shipment documents with an accessible automatic appointment setting all around the world 24 hours a day and 7 days a week. > Complete dematerialization of your transport documents. Send automatically notifications to the various actors as soon as the carrier enters the geofence defines upstream. Visualize the road events supplied by real time TIPI. Via the services HERE, you remain informed about the traffic conditions in real time thanks to a global view on the embarked application. Service of traceability and geofence to strengthen your communication, remain informed and to optimize your routes. 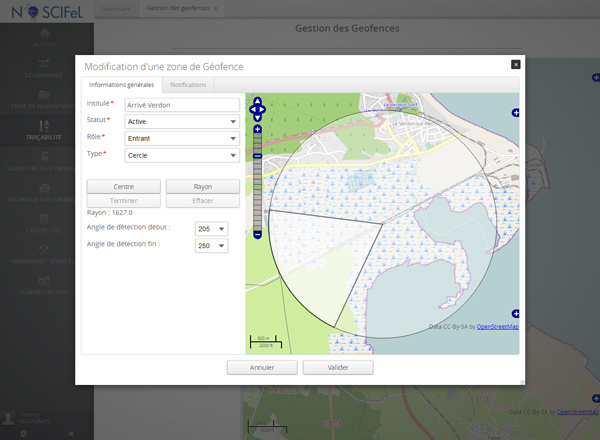 From the information gone back up by the embarked application on the smartphone of the driver, the platform NOSCIFeL allows to locate the goods and to send automatically notifications under the form of e-mails or messages EDI to the various actors (carrier, sender, addressee) during the passage of the goods on zones defined by the user (system of geofence). Furthermore this service also allows to collect and to assure the correspondence of the references by various interfaces established with information systems which create them or use them. The principle of the solution being that a supplier of a reference, a member of the service, can arrange corresponding references relating to the same operation with the explicit authorization of the other actors of the transport chain. The positions of vehicles can be indicated by means of their system of follow-up of fleet (we can propose it if vehicles are not endowed with such a system). > Strengthen your communication, remain informed and optimize your routes. This service indicates to the driver the optimal speed permitting to have a green light. It is quite easy and simple, when the vehicle is in approximately 300 meters away from the traffic light, it will send the speed advice at which you should drive in order to reach the light at green. In this way, you will consume less fuel, CO2 and your global driving time will be lower. This information is available through an intuitive smartphone application. A Start/Stop idling is considered profitable in economy of fuel only beyond 7 seconds. That is why our smartphone application indicates to the driver to cut the engine if the fire plans to cross in the green after 7 seconds of wait and not to cut it otherwise. 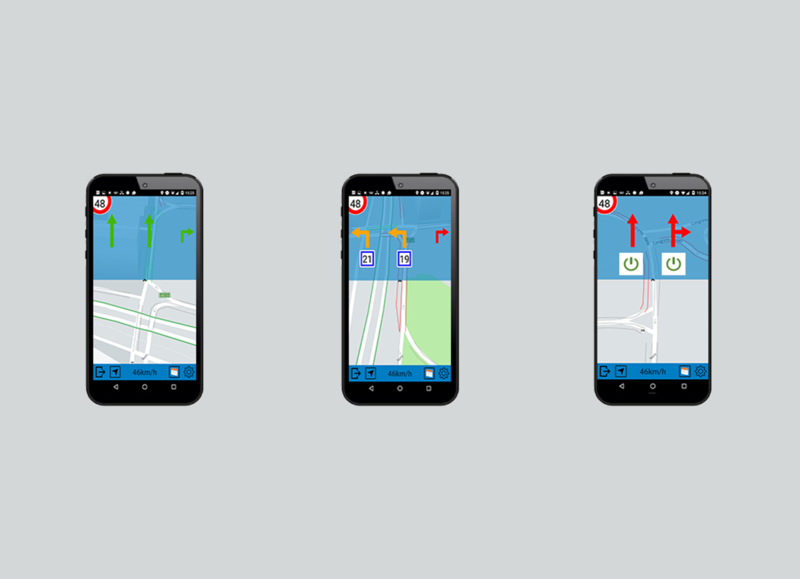 Thanks to these two services you quickly obtain an overview of the state of the traffic lights on the road network in real time. These services were developed through the project Compass4D. > Save Fuel as well as your global driving time. This service was developed to minimize your impact CO2 by respecting the legislation. 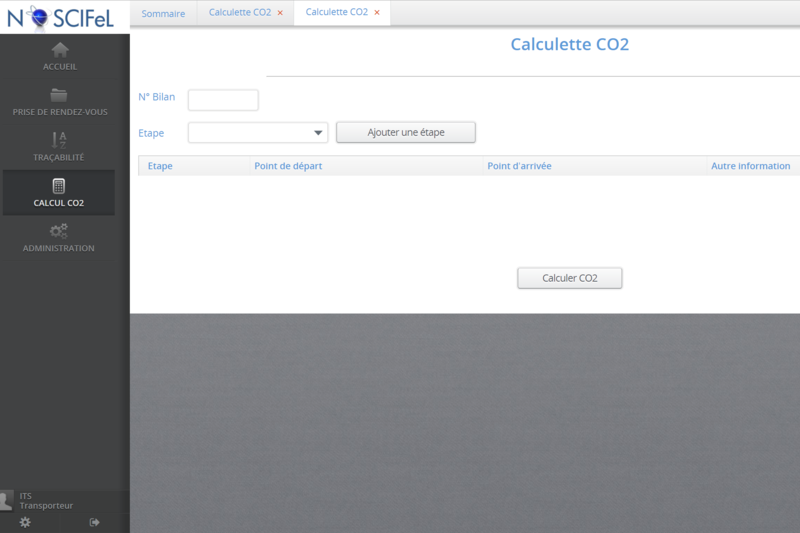 The service of calculation of CO2 is made via the platform NOSCIFeL and allows you to calculate the CO2 cost step by step or for all the route of a delivery as well as by transported product. Compare easily the CO2 footprint estimation of your various transport. The calculation can also come true automatically via the module SERVE, so much with a calculation to distance that by basing itself on the data of follow-up of fleet. Most of our application is to have integrated the French standard (Decree n°2011-1336 of October 24th, 2011 and decree of April 10th, 2012) as well as the European standard (EN16258), what allows you to respect all the legislations. > Minimize your CO2 impact while respecting the legislation. Since 2016, NeoGLS deployed a large-scale experiment on Bordeaux. The Southwest CEREMA is a part of this experiment via 3 vehicles equipped with our solutions as well as Geodis who equipped 27 vehicles. We wish to open this experiment to a largest number. If you wish to participate in this deployment on Bordeaux, do not hesitate to contact us. André Perpey, CEO at NeoGLS show us the embarked services deployed for the CO-GISTICS project via a demonstration during the European Congress of ITS in Glasgow. June 2016.